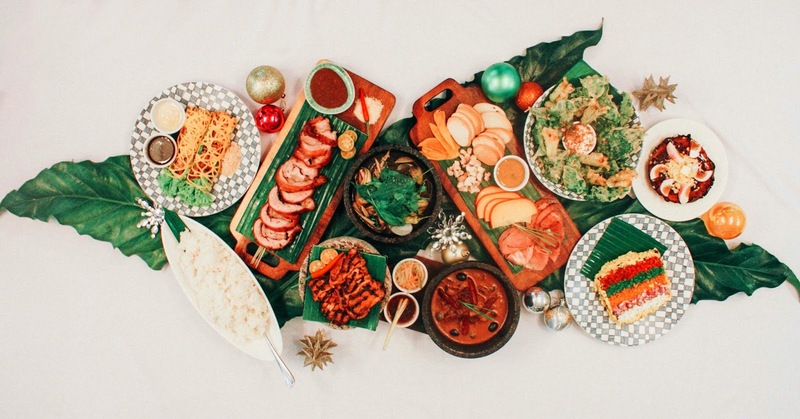 Whether you're battling party-poopers or making your Christmas list, we had to admit that the star of every Christmas parties is the food. And I know it's not easy to plan out the menu, so whether you're going to take your staff or family out for some festive Christmas dining or setting up one at home but don't have time and the chefy skills to wow your guests, here are some ideas and food packages from some of my favorite restaurants and food purveyors. Indulge in a special Holiday Set Menu for lunch and dinner at the Atrium Lounge from December 12, 2014 to January 5, 2014. This delectable four course menu plus coffee starts at P 995+ per order. Have a yuletide feast at the Café in the Park with special buffet spread on Christmas and New Year. Take our dinner buffet on Christmas and New Year’s Eve or lunch and dinner buffet on Christmas and New Year’s Day for only P1,430+ per adult. Children 7 to 12 years old and their yaya get a holiday treat of 50% off and a free dining adventure awaits children who are 6 years old and below. Diners also get a complimentary glass of house wine or local beer or unlimited ice lemon tea. At the Century Tsukiji, delight in an authentic Japanese fare on Christmas eve and day with our special menu for two persons for only P2,570+ . 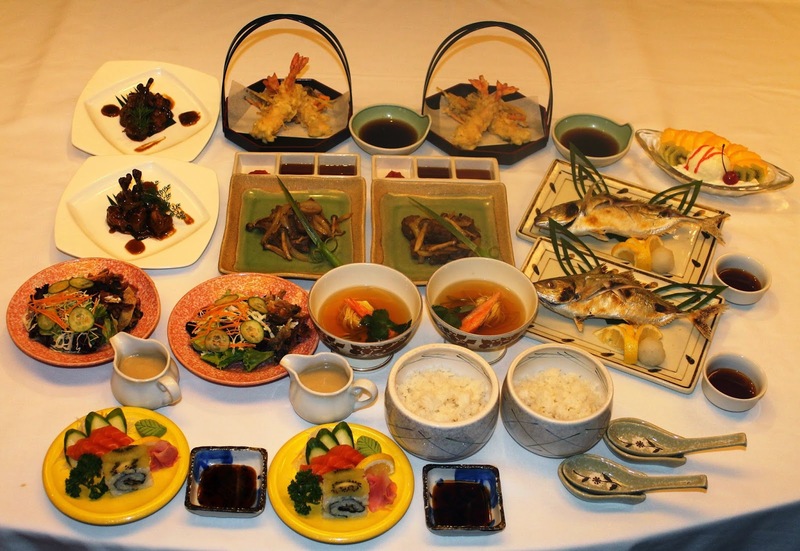 Go for a Japanese traditional New Year’s Day special set menu from January 1 to 3, 2015 for P1,350+ per person. Feel warm on New Year’s Eve with selection of Japanese noodles. Choose from Kinoko Soba at P440, Tencha Soba at P395, Tamago To Kitsune Soba at P330, Chasoba To Kinshi Tamago P275 and Tamago To Horenso Soba at 260. All noodles are served with choice of Inari Sushi or Tekkamaki. Continue to satisfy your Japanese food indulgence with our Shabu-Shabu - uniquely prepared U.S. hanging tender of beef, assorted fresh vegetables, glass noodles, bean curd and Gomatare dipping sauce for only P575+ per order. Have a pleasant treat at our Deli Booth. 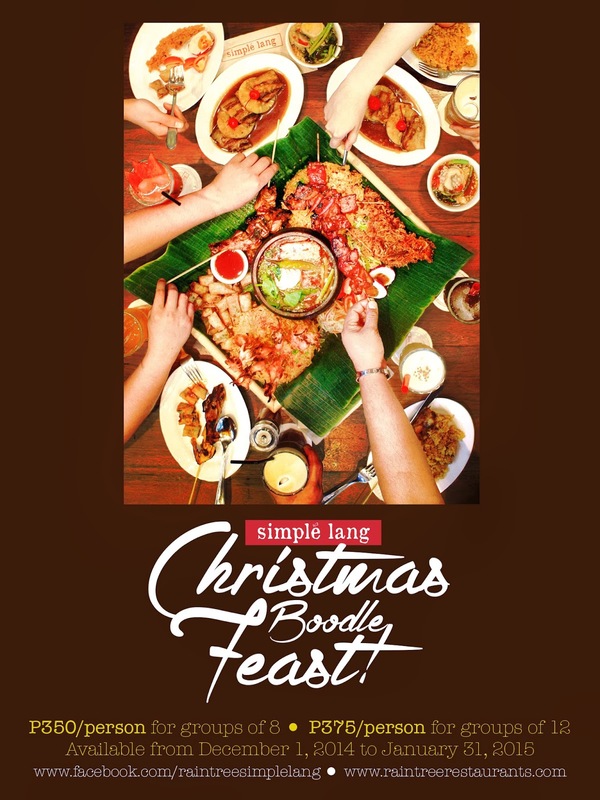 Take home special Christmas hampers, goodies, variety of hams, sausages, pates, cheeses and terrines, plus an array of cakes, breads, pastries and home-made delicatessen items from 2 pm to 10 pm starting November 11, 2014 until January 5, 2014. Indulge in a delectable holiday taste daily from 2 pm to 12 mn with our freshly baked bibingka for P195 net per order and puto bumbong at P170 net per order served along with hot chocolate, salabat or hand crafted coffee. Be delighted by specially-made festive drinks with our “Holiday Hues” to match the holiday breeze in all our bars. 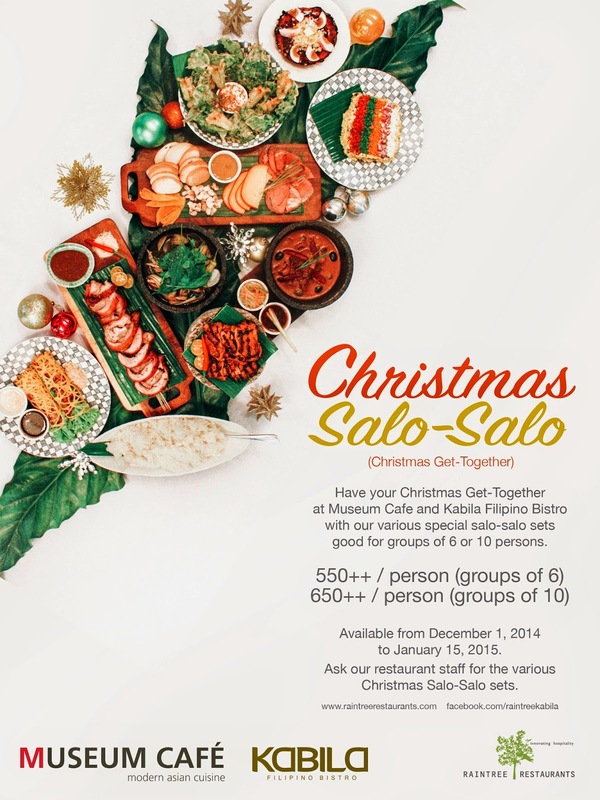 Take plunge in the perfect yuletide concoctions for P315+ per order. Celebrate the brightest season with our Christmas party packages. 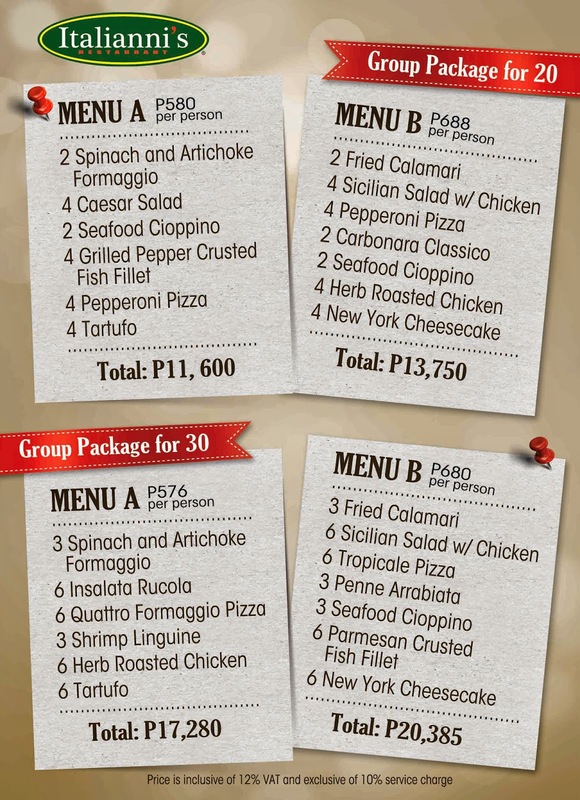 Menu starts at P1,375 net/person. 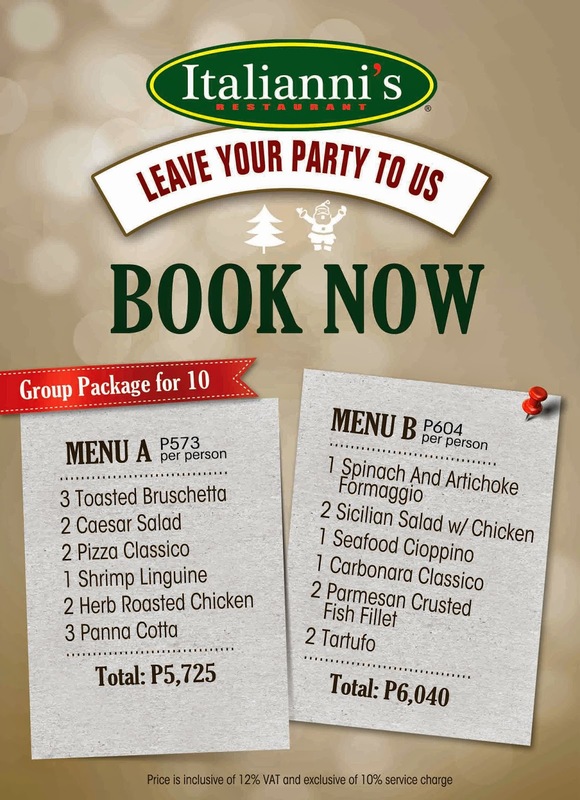 For reservation, please call our Banquet Sales at (632) 528-5871 to 73 or email us at banquet@centurypark.com.ph. Rejoice! 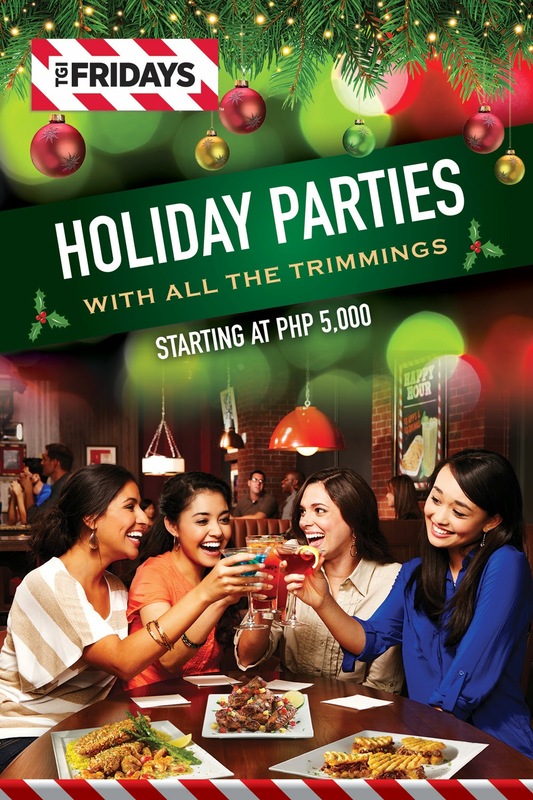 Make those Spirits Bright this yuletide at Century Park Hotel as we both celebrate this brightest of season. For more inquiries, contact us at telephone no. 528-8888 or email us at information@centurypark.com.ph. *Available from December 1, 2014 to January 15, 2015. Click here to check their party bundles, they even have something special packaged for the kids. tiffany london sale Costly dean tiffany uk sale of students, spent two hundred bought this dinner, really is the color, flavor and taste. 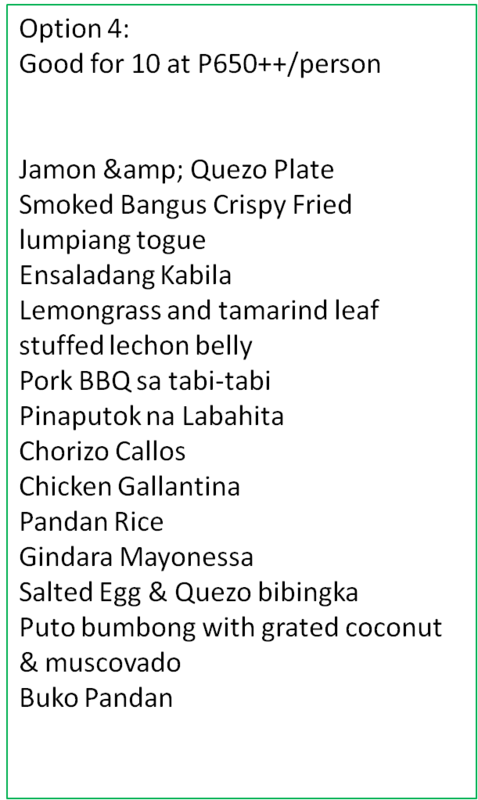 Of course this is not to please the discount, but he thought today was a http://www.intra-mark.co.uk special day, they should tiffany london sale celebrate. Oops, Deputy Director Liu, so how do you spend money, really sorry. discount table tiffany tiffany london sale london sale meals looked heartfelt gratitude. Shucks, it should be. Come eat.